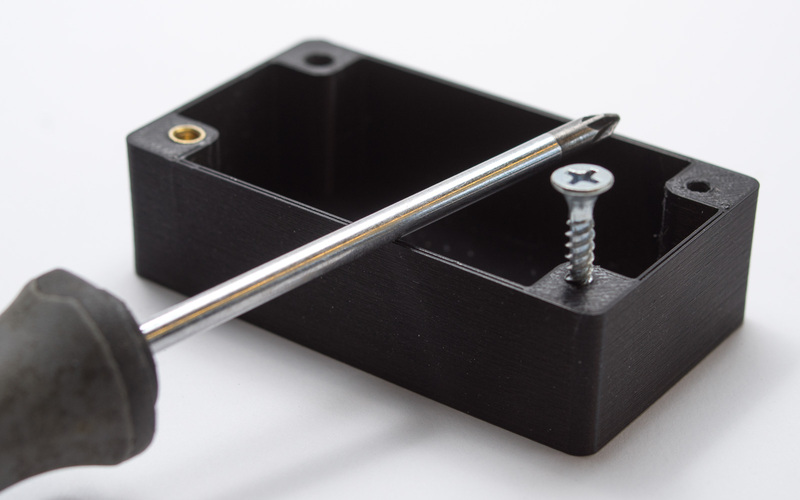 Threaded fasteners are a popular method of securing 3D printed parts. Threaded fasteners allow quick assembly and disassembly and offer strong connections. This article will discuss the most appropriate threaded fastening techniques to apply when dealing with 3D printed parts and discuss the methodology behind implementing each of them. As a rule of thumb the minimum wall thickness around a thread should match the diameter of the fastener (e.g. an M5 fastener requires a minimum of 5mm wall thickness around the threaded hole). If wall thickness is too low parts can bulge and distort due to the added stress and in some cases (particularly FDM) delamination or fracture can occur. 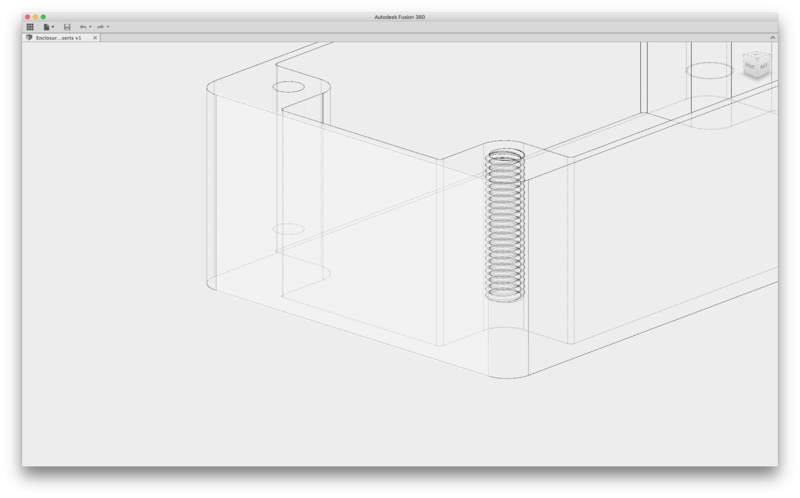 The table below introduces the threaded fastening methods that are best suited to 3D printing. Note: Drilling the pilot/alignment hole to the desired diameter post-printing, before implementing any of the fastening methods discussed in this article, will typically give a more accurate diameter compared to a 3D printed hole. Two types of inserts are best suited for 3D printed parts; heat set inserts and tap-in inserts. Inserts provide strong metal on metal contact and are very easy to install. An accurate pilot hole is required so drilling is recommended before installation. Slowly apply pressure, pushing the insert down into the hole to the desired depth. Using a hammer gently tap the insert down into the hole to the desired depth. Another method of securing 3D printed components together is to embed a nut into the component via a nut shaped cavity (often referred to as a nut boss). This method does not require any material removal. Often determining the optimal nut boss dimensions requires several iterations. Printing small test parts to determine the ideal dimensions can save on time and material costs. Measure your nut. If you do not have access to the nut a quick internet search will reveal standard overall dimensions for both metric and imperial nuts. Include the desired nut profile in your CAD model. An iterative process may be required to find the best nut clearance based upon printer calibration. As a starting point a 0.2 mm offset around the nut (0.1 mm each side) should give a loose fit. This also may need to be increased for nuts greater than M12. Select the appropriate cut out depth (typically just below flush). Including a drop of superglue on the back side of the nut will help secure it in place. Self tapping screws cut a thread into a pre-drilled hole as they are screwed down. This offers a quick assembly method but is not suited for applications where parts will regularly be assembled/disassembled. Special self tapping screws for plastic can be used that limit the radial stress on 3D printed holes lowering the likelihood of bulging, delamination or fracturing occurring. 3D print or drill a hole in the desired screw location. For optimal pilot hole size consult the self tapping screw provider. A pilot hole size that provides 75% to 80% thread engagement is a good starting point if this information is difficult to come by. Assemble components to be secured ensuring to correctly align all holes where the self tapping screws will be used. Slowly screw self tapping screw down into hole ensuring it remains perpendicular to the hole during fastening. Cutting a thread (more commonly known as tapping) involves using a tap wrench to cut a thread in a pre-printed or drilled hole. Threads are regularly cut in 3D printed plastics. Using the correct size tap wrench and ensuring it remains perpendicular to the hole, slowly cut the thread regularly reversing or “backing off” to remove excess material to avoid binding. Avoid forcing the tap wrench as this can lead to fractures or splitting of the 3D printed material. Continue tapping to the desired depth. Insert your desired threaded fastener before assembly to ensure a clean fit. 3D printing threads eliminates the need for any extra steps post printing and allow parts to quickly be assembled together. Limitations on printer accuracy and resolution will govern the success of a printed thread. Threads smaller than M5 printed via FDM should be avoided with one of the other threaded fastener methods discussed in this article implemented instead. After printing the threaded fastener should be screwed and removed from the hole several times to clean the printed thread before final assembly. For a more accurate fastener pilot hole consider drilling the hole after printing rather than printing it in the part. The minimum wall thickness around a thread should match the diameter of the fastener (e.g. an M5 fastener requires a minimum of 5mm wall thickness around the threaded hole). 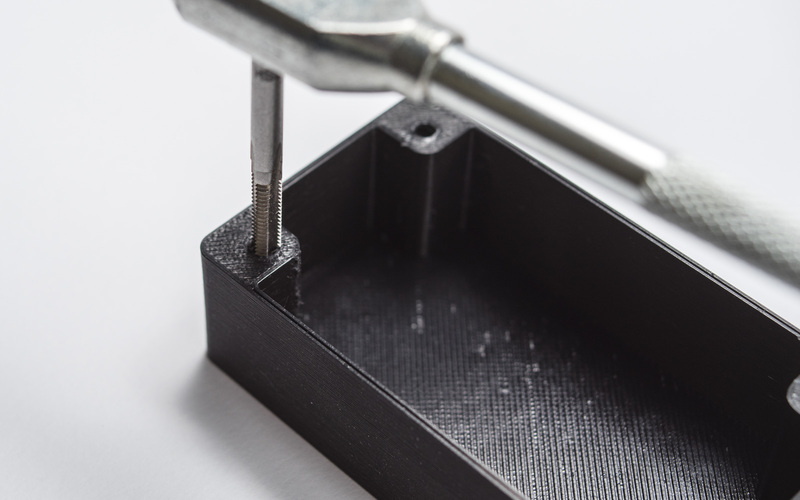 Heat up or tap in inserts and embedded nuts are the most popular methods for securing 3D printed components due to their simple installation, connection strength (metal on metal) and ease of repeated assembly/disassembly.